I started with white card stock and this photo of my daughter and grandson being silly with fun glasses. I knew that the sunglasses flair included in the Summer Vives Flair set would be PERFECT for this photo! So I grabbed that one and the "smile" flair from the same set and found papers to match! I ended up using Paige Taylor Evan's Whimsical collection because 1) I love it 2) It matched! :-) I found this "hello life" flair button from the flair set of the same name, and added it to the layout as well. I made a video of my process if you would like to check it out! Thanks for stopping by and I will see you again soon! XO o.g. Hi everyone, Laurel here with some quick and easy tags for you. Do you make your own tags? I think they add a special touch to wrapped gifts. Adding one of the flair is such an easy way to add interest. I have used the Christmas Wishes 2 Flair today. 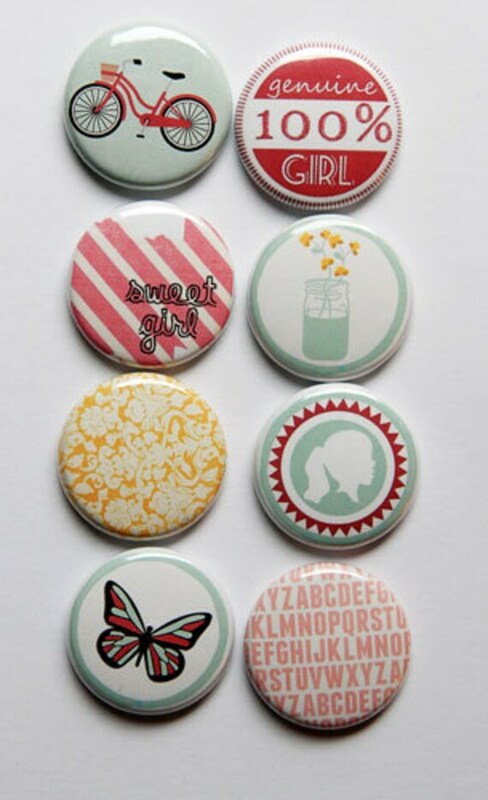 See how cute the buttons look on tags. I just simply cut some white cardstock into rectangles and then punched the ends with a tag punch. I then added some pattern paper and then layered on some premade tags. As a final touch of course, adhered some flair. I must say, I love that little Santa he is just perfect for adorning a tag don't you think? Well, that's all for me. Told you they were quick and easy! Hello friends! Happy American Thanksgiving! It's Lee-Anne here and today I wanted to share with you another mini album. This one is for my grandson's first Christmas. The cute penguin flair button on the front cover is from the Christmas Fun 2 Flair Set. Hi there - unicorns and sunshine! It's Riikka here today to share a layout with you. I also have an extra treat - I made a video while making the page! My darling older one just loves horses and unicorns. 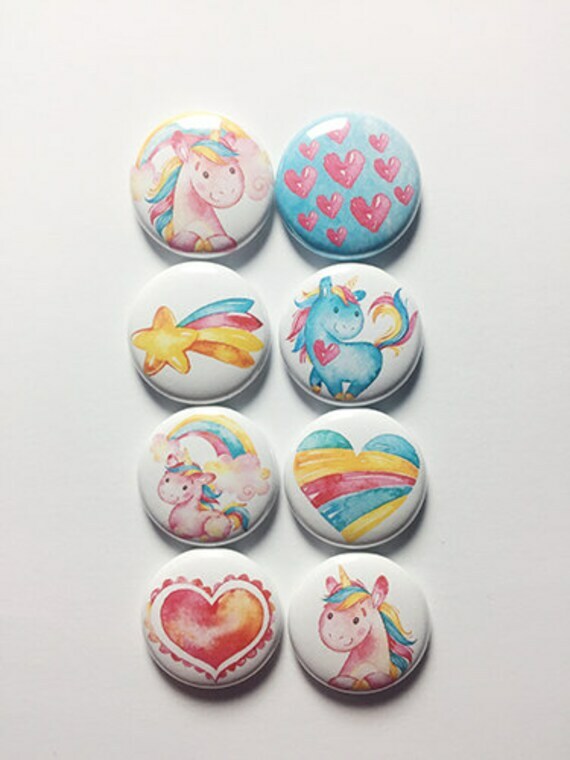 So when I noticed the "Unicorns and Rainbows" flair set in the Etsy store, I just new what kind of page I needed to do. I also incorporated my daughter in the process of making the layout. If you watch the video I recorded while working on the page really carefully, you can see her hand pointing to the embossing glitter she chose to be used in the page! As yo can see from the video, I used different mediums in the making of the page. I just love to layer different things! 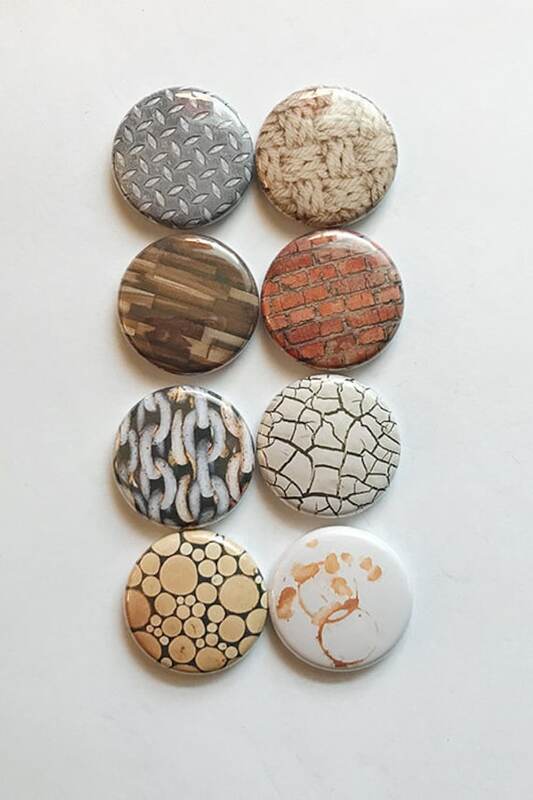 I also love to layer the flair buttons and mix different sets. Besides the unicorn set, I also used three other ones in the layout. The "Love It" text is from the "Smash Words" set. 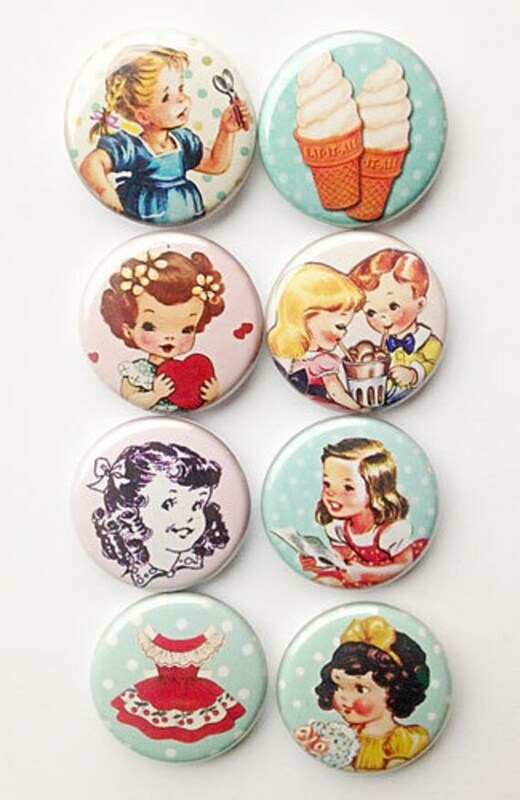 The pink girl from the "Retro Little Girl" set and the "genuine 100% girl" is from the "Sweet" set. Although my darling has short hair, prefers jeans to any kind of dress or leggings and can climb any tree, she's definitely 100% girl. Thank you for your visit! I'll be seeing you again next month! Hey everyone, Michelle here today with a new LO to share. On this LO I used the Forever Fall collection from Simple Stories, a cut file from The Cut Shoppe, and one perfect piece of flair because sometimes that's all it needs! I don't think I can ever get tired of fall. The colors, the cool air, the fun photo opportunities!!! It's my absolute favorite thing to scrapbook! There are so many fall themes sets in the store! Go check it out, I know you'll find something you need! Look how young my husband and I were! On our wedding day, there was a blizzard. It was beautiful but cold. This photo was taken just a few days after we were married. I played along with last weeks Scraplift Sunday over at Paper Issues PIFF page. We lifted Angie Ponds. I used Simple Stories Freezin Season and flair from A Flair for Buttons. It was a great great layout to lift. Hi everyone, Laurel here. I am in full Christmas/Holiday mode with my projects. How about you? Christmas/Winter are my favorite projects to create and I love Santa so I had to have the Christmas Wishes 2 set. I created a simple card. First I die cut the circle background and filled it with pattern paper. I then stitched to add some interest. I always seem to add snowflakes to my holiday projects so of course I added a couple today. 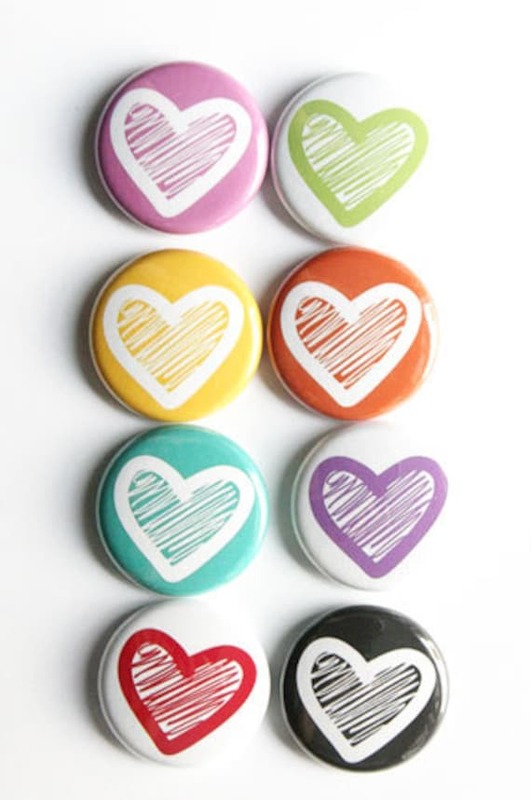 I then die cut the sentiment, stapled it on and finished off with a button. Isn't that Santa cute? 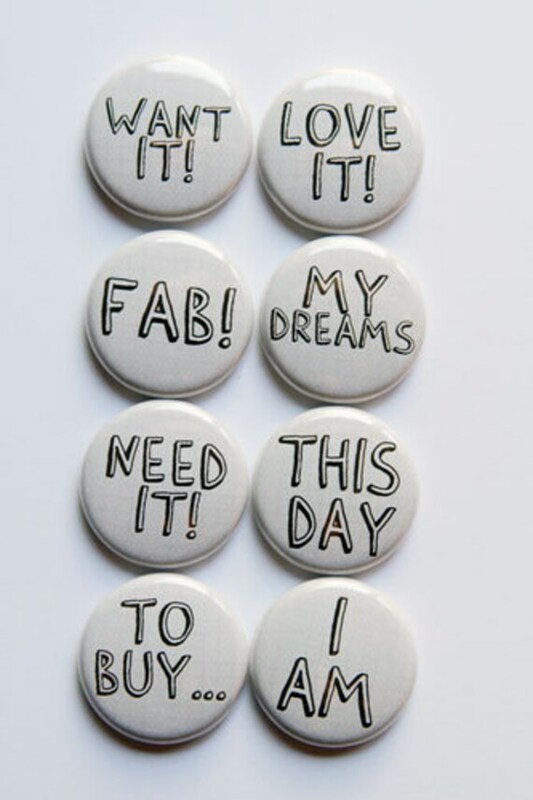 I need more of just this button I think! Hi there! It's Riikka here today with a special layout. It's special in more than one way. First of all, it's the topic, my darling husband, but also where I made the layout and using which products. Because I made the layout during a workshop with Louise Nelson in Egersund, Norway. I was delighted to participate in that workshop! It was a huge treat for me and I think I can use what I learned in so many ways and draw inspiration out of that for months and months to come! What also makes the layout special is the materials. The stamps I used in the layout are self made! I might have grown an addiction to stamp carving while taking the classes. It's so fun! So if you haven't ever taken a workshop, I highly recommend. There's so much more than learning new things - also meeting like minded people and the different perspective you get of trying something new, speaking to new people and hearing how others create. Besides the self carved stamps, I also used some stickers and naturally flairs in the layout. 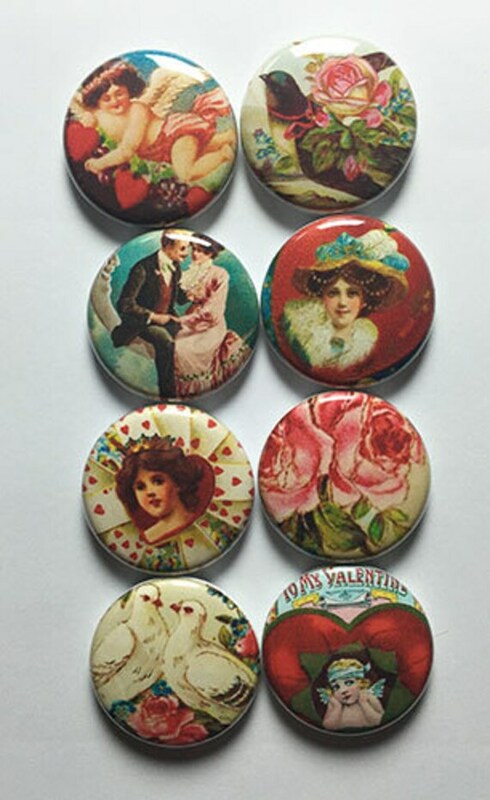 The two love themed are from "Just Hearts 2" and "Vintage Sweetheart". I guess they are easily explained with the topic of my page. The chain patterned flair might be a more special one. It's from "Texture 2" set and represents how my husband is my anchor chain, how we link to each other like loops in the chain and how we make up a chain of generations. Thank you for stopping by today! Wishing you a pleasant start to the new week! Hello friends! It's Lee-Anne here and today I have a Christmas mini album to share with you celebrating a Canadian Christmas. I love creating mini albums and this one came together rather quickly with the help of some cute flair buttons, kraft paper lunch bags and some patterned papers from Photoplay Paper's Oh Canada Christmas Collection created by the talented Becky Fleck. I combined several sets of flair buttons and dug into my festive Christmas stash of flair buttons. On the left hand side I added a green "Merry Merry" flair button from the Christmas Fun 2 Flair Set and on the bottom right, I added the red, white and green "Merry Christmas" Flair Set from the Christmas Faces Flair Set. On some of the tags that I tucked into some of the pockets, I added the "Merry Christmas" flair button from the It's Christmas Time Flair Set. as well as the buffalo check maple leaf flair button from the Canada 2 Flair Set. Finally, on the second last page of the album I added a cute red truck flair button from the It's Christmas Time Flair Set. It was fun creating this little mini album and I hope you are inspired to create a mini album using several flair buttons from several themes. 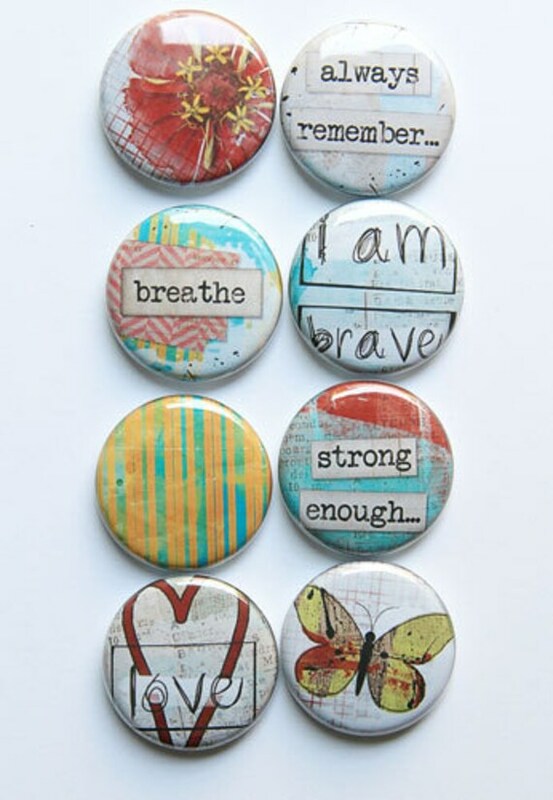 All these are available in the A Flair For Buttons shop. Oh hello November. What? How did that happen so fast. Well, nothing like starting the month off with a new project! It's Devra today with this layout I also made for the November Challenge with The Cut Shoppe. This months challenge is white on white, meaning use white cardstock for your cut file as well as the background for your project. I will say, I do not usually do this, so yay for trying new things! I filled in the spaces with some of the softer prints of Amy Tangerine Shine On. I added color with the embellishments. 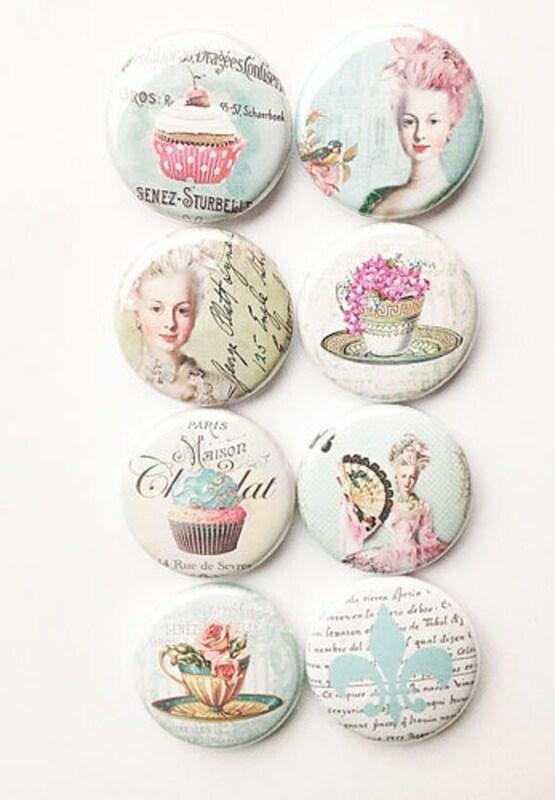 The two pieces of flair I used are from the Let Them Eat cake and Lovely Words 7 sets. They had the color, style and sentiment I was looking for. Over all this was actually quite simple to do. The result is soft yet striking. I'm happy with how it turned out.